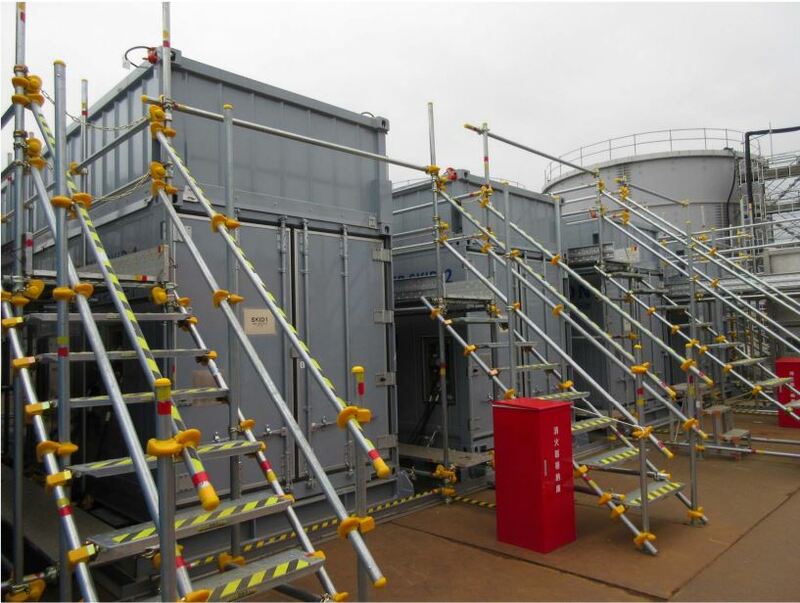 TEPCO released further information on the scope inspection of unit 2. This included confirmation that our previous estimations of the hole location were correct. They also clarify that the hole is only 1 meter across. 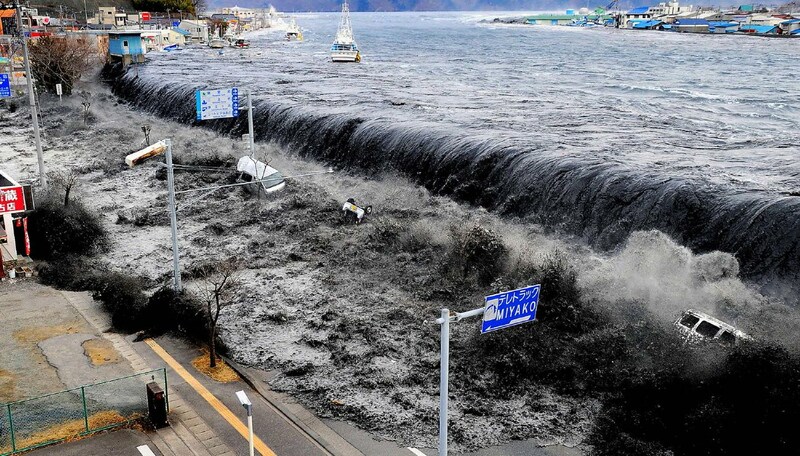 The press had incorrectly described it as “a 2 meter hole”. 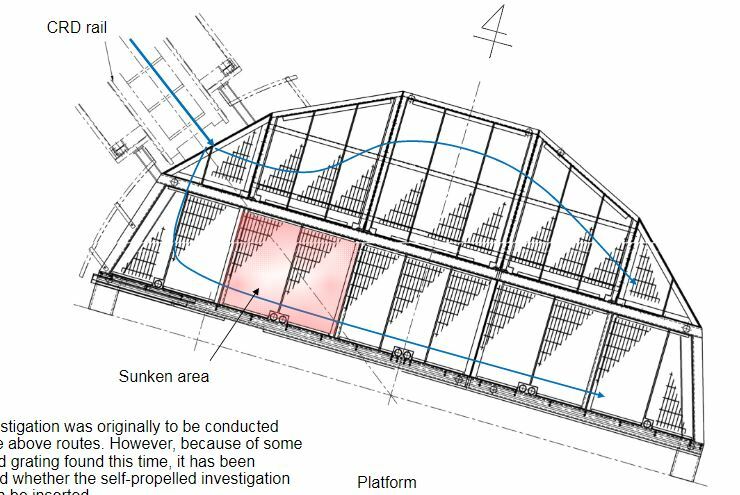 This new information included a floor plan of the side of the pedestal room that was to be inspected with the hole marked. This prevents one of the two robot paths. The nearby section of flooring for the secondary robot path is littered with what appears to be thick splatters of corium (melted fuel and other materials). The robot has an on board water jet to remove debris in the way but it was not designed to remove fused corium, that we are aware of. The high radiation levels create another problem. 530 Sieverts/hour were estimated as the radiation level inside the pedestal. The robot was designed with an assumption of 75 Sieverts/hour, taken from a 2013 reading outside of the pedestal. This would give the robot a roughly 2 hour life span vs. the 10 hour life span the robot was assumed to have. 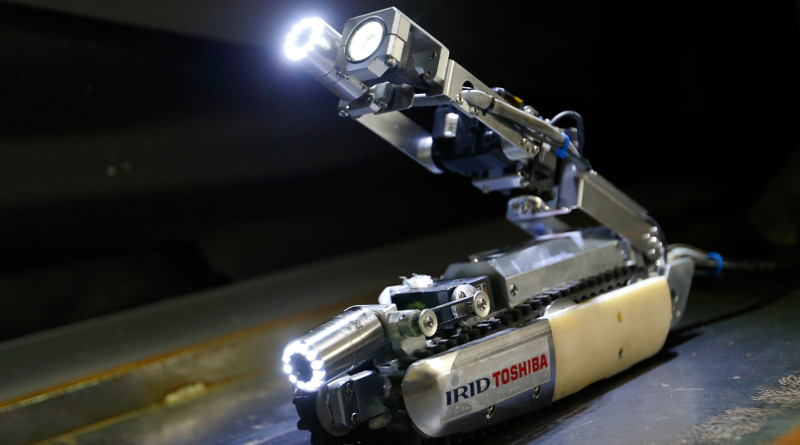 These two factors of difficult conditions inside the pedestal and higher radiation make it unlikely the robot inspection will be pursued. TEPCO cites that they will investigate the possibility of what to do next with this project, confirming they have serious concerns about the future of this project. TEPCO has been insisting since 2011 that unit 2 did not have a large meltdown or that most of the melted fuel stayed in the reactor vessel. 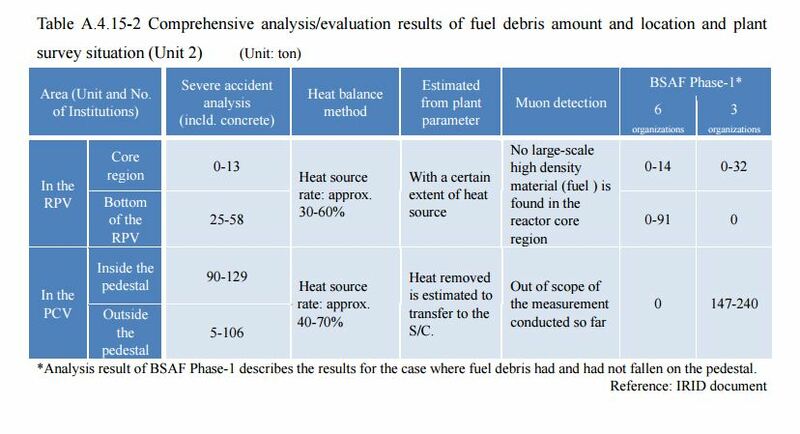 A muon scan done by Nagoya University on unit 2 concluded most of the fuel had left the reactor vessel. 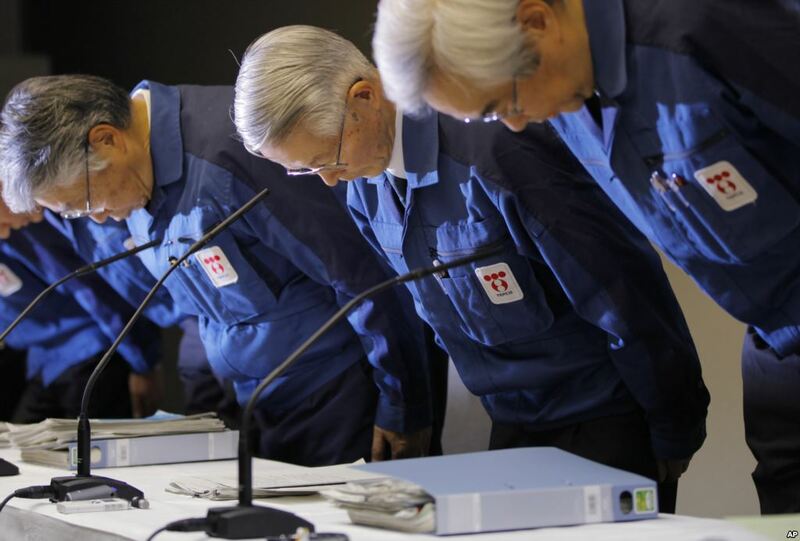 The second muon inspection done by TEPCO contractors was characterized as showing fuel in the reactor vessel and TEPCO continued with this notion of limited damage. Our further research of the scan showed that TEPCO’s take was unlikely on this second muon scan. Computer modeling done by Sandia National Lab also concluded a different outcome than TEPCO’s claim as far back as 2012. Reports of other computer modeling made it clear that it was highly unlikely the bulk of the fuel was still in the reactor vessel. Considerable sums of public money have been used on this research and development effort at Fukushima Daiichi. Multiple work projects seem to defer to TEPCO’s claims of unrealistic best case scenarios then work to confirm or disprove them. Planning for the most likely scenario or planning with contingencies for the worse case scenario is absent where TEPCO has a seat at the table in planning. This both delays progress towards decommissioning planning and costs more money. 1. Develop a slightly longer telescoping scope probe with a focal light source. This could be used to extend further into the pedestal over the hole. Then views both up to the underside of the reactor vessel and down to the pedestal floor can be obtained. A focal light source would be needed to throw light the long distances through narrow openings seen in the recent images. 2. Horizontal drill under unit 2 and obtain soil samples. This work was proposed to IRID years ago. The response from IRID was that this was a valid idea but they saw problems operating a drilling rig near the reactor buildings due to radiation. Unit 2 has fewer surrounding high radiation areas compared to the other units. Much of the building debris around unit 2 has already been removed. Horizontal drilling rigs capable of conducting this work are readily available. The same remote control systems used on other heavy equipment could be used if needed to reduce worker exposure levels. Similar work was done at Chernobyl back in 1986 mere months after the meltdown. This work would confirm the contamination below the reactor building. It would also confirm if melted fuel has burned through the reactor building basemat concrete. ← Fukushima Unit 2 Failure Point Found!